1. An increase in unusual or difficult behaviors probably indicates an increase in anxiety for the student with AS or HFA. Sometimes anxiety is caused by feeling a loss of control. Many times the anxiety will only be alleviated when the student physically removes herself from the stressful event or situation. If this occurs, a program should be set up to assist the student in re-entering and/or staying in the stressful situation. When this occurs, a "safe-place" or "safe-person" may come in handy. 2. Assume nothing when assessing skills. For example, the child with AS or HFA may be a "math whiz" in Algebra, but not able to make simple change at a cash register. Or, she may have an incredible memory about books she has read, speeches she has heard or sports statistics, but still may not be able to remember to bring a pencil to class. Uneven skills development is a hallmark of AS and HFA. 3. Avoid verbal overload. Use shorter sentences if you perceive that the “special needs” student does not fully understanding you. Although she probably has no hearing problem and may be paying attention, she may have difficulty understanding your main point and identifying important information. 4. Be aware that normal levels of auditory and visual input can be perceived by the AS or HFA student as too much or too little. For example, the hum of florescent lighting is extremely distracting for some children on the autism spectrum. Consider environmental changes (e.g., removing "visual clutter" from the room, seating changes, etc.) if the student seems distracted or upset by her classroom environment. 6. Behavior management works, but if incorrectly used, it can (a) encourage robot-like behavior, (b) provide only a short term behavior change, or (c) result in some form of aggression. Use positive and chronologically age-appropriate behavior procedures. 7. Do not take misbehavior personally. The AS or HFA student is not a manipulative, scheming child who is trying to make life difficult for you. He is seldom, if ever, capable of being manipulative. Usually misbehavior is the result of efforts to survive experiences which may be confusing, disorienting or frightening. Young people on the spectrum are, by virtue of their disorder, egocentric. Most have extreme difficulty reading the reactions of others. 9. 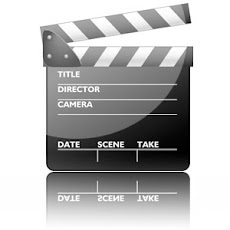 If the AS or HFA student does not seem to be learning a task, break it down into smaller steps or present the task in several different ways (e.g., visually, verbally, and physically). 10. If your class involves pairing off or choosing partners, either draw numbers or use some other arbitrary means of pairing. Alternatively, ask an especially kind student if he or she would agree to choose the child with AS or HFA as a partner before the pairing takes place. 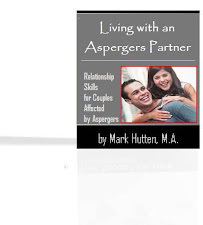 The student with AS or HFA is most often the kid left with no partner. This is unfortunate since this youngster could benefit most from having a partner. 11. If your student with AS or HFA uses repetitive verbal arguments and/or repetitive verbal questions, you will need to interrupt what can become a continuing, repetitive litany. Continually responding in a logical manner or arguing back seldom stops this behavior. The subject of the argument or question is not always the subject which has upset the student. More often, she is communicating a feeling of loss of control or uncertainty about someone or something in the environment. Try requesting that the student write down the question or argumentative statement. Then write down your reply. This usually begins to calm her down and stops the repetitive activity. If that doesn't work, write down her repetitive question or argument and ask her to write down a logical reply (perhaps one she thinks you would make). This distracts from the escalating verbal aspect of the situation and may give the student a more socially acceptable way of expressing frustration or anxiety. Another alternative is role-playing the repetitive argument or question with you taking her part and having her answer you as she thinks you might. 12. Kids with AS and HFA have problems with abstract and conceptual thinking. Some may eventually acquire abstract skills, but others never will. When abstract concepts must be used, use visual cues (e.g., drawings or written words) to augment the abstract idea. Avoid asking vague questions like, "Why did you do that?" Instead, say, "I did not like it when you slammed your book down when I said it was time for gym. Next time, put the book down gently and tell me you are angry. Were you showing me that you did not want to go to gym, or that you did not want to stop reading?" Avoid asking essay-type questions. Be as concrete as possible in all your interactions with this “special needs” student. 13. Students on the autism spectrum have trouble with organizational skills, regardless of their intelligence and/or age. Even a "straight A" student with AS or HFA who has a photographic memory can be incapable of remembering to bring a pencil to class or of remembering a deadline for an assignment. In such cases, assistance should be provided in the least restrictive way possible. Strategies could include having the student put a picture of a pencil on the cover of her notebook or maintaining a list of assignments to be completed at home. Always praise the student when she remembers something she has previously forgotten. Never denigrate or "harp" at her when she fails. A lecture on the subject will not only NOT help, it will often make the problem worse. The student may begin to believe she can’t remember to do or bring these things. Students on the spectrum seem to have either the neatest or the messiest desks or lockers in the school. The one with the messiest desk will need your help in frequent cleanups of the desk or locker so that she can find things. Remember that she is probably not making a conscious choice to be messy. She is most likely incapable of this organizational task without specific training. Attempt to train her in organizational skills using small, specific steps. 14. Prepare the AS or HFA student for all environmental and/or changes in routine (e.g., assembly, substitute teacher, rescheduling, etc.) Use a written or visual schedule to prepare her for change. 16. Since these “special needs” students experience various communication difficulties, do not rely on them to relay important messages to their mother or father about school events, assignments, school rules, etc. (unless you try it on an experimental basis with follow-up, or unless you are already certain that the student has mastered this skill). Even sending home a note for the child’s parent may not work. The student may not remember to deliver the note or may lose it before reaching home. Phone calls to moms and dads work best until the skill can be developed. Frequent and accurate communication between the teacher and parent is very important. While each student with AS or HFA is different, there are standard methods that can serve both the “special needs” child and the educator. A movement is emerging in education called "neurodiversity," which suggests that teachers view their “special needs” students in terms of "diversity" rather than "disability." By embracing this more positive viewpoint and implementing techniques that build on strengths, teachers can help ensure that their AS and HFA students achieve success both in the classroom and out in the real world. Kids with Asperger’s (AS) and High-Functioning Autism (HFA) have the intelligence to participate in regular education, but they often do not have the emotional resources to cope with the demands of the classroom. These “special needs” kids are easily stressed due to their inflexibility. Self-esteem is low, and they are often very self-critical and unable to tolerate making mistakes. Young people with AS and HFA, especially teenagers, may be prone to depression (as a side note, a high percentage of depression in grown-ups with AS and HFA has been documented). Rage and temper outbursts are common in response to stress and frustration. Kids with AS and HFA rarely seem relaxed and are easily overwhelmed when things are not as their rigid views dictate they should be. Interacting with peers and school staff – and coping with the ordinary demands of everyday life take constant strenuous effort. 1. Teachers must be alert to changes in behavior that may indicate depression (e.g., greater levels of disorganization, inattentiveness, isolation, decreased stress threshold, chronic fatigue, crying, suicidal remarks, etc.). Do not accept the youngster's assessment in these cases that he is "OK."
2. Teach the AS or HFA student how to cope when stress overwhelms her in order to prevent outbursts. Help the youngster write a list of very concrete steps that can be followed when she becomes upset (e.g., breathe deeply three times; count the fingers on your right hand slowly three times; ask to see the special education teacher, etc.). Include a ritualized behavior that the youngster finds comforting on the list. Write these steps on a card that is placed in the pocket so that they are always readily available. 3. Report symptoms to the youngster's therapist or make a mental health referral so that the youngster can be evaluated for depression and receive treatment if this is needed. Because AS and HFA kids are often unable to assess their own emotions and can’t seek comfort from others, it is critical that depression be diagnosed quickly. 4. Kids with AS and HFA are so easily overwhelmed by environmental stressors and have such profound impairment in the ability to form interpersonal relationships that it is no wonder they give the impression of fragile vulnerability and immaturity. When these “special needs” youngsters are compared to their “typical” peers, it becomes very evident just how different they are and the enormous effort they have to make to live in a world where no concessions are made and where they are expected to conform. 5. Prevent outbursts by offering a high level of consistency. Prepare these kids for changes in daily routine in order to lower stress. Kids on the autism spectrum frequently become fearful, angry, and upset in the face of forced or unexpected changes. 6. AS and HFA kids who are very fragile emotionally may need placement in a highly structured special education classroom that can offer an individualized academic program. These kids require a learning environment in which they see themselves as competent and productive. Accordingly, keeping them in the mainstream where they can’t grasp concepts or complete assignments serves only to lower their self-concept, increase their withdrawal, and set the stage for depression. In some situations, a personal aide can be assigned to the youngster rather than special education placement. The aide offers emotional support, structure and consistent feedback. 7. Kids with AS and HFA must receive academic assistance as soon as difficulties in a particular area are noted. These kids are quickly overwhelmed and react much more severely to failure than do other kids. 8. 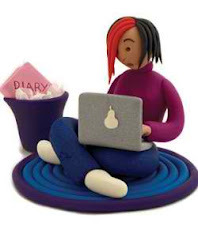 It is critical that teenagers with AS and HFA who are mainstreamed have an identified support staff member with whom they can check-in at least once daily. This person can assess how well the student is coping by meeting with him daily and gathering observations from other teachers. 9. Be aware that teenagers with AS and HFA are especially prone to depression. Social skills are highly valued in the teenage years, and the AS or HFA student realizes she is different and has difficulty forming normal relationships. Academic work often becomes more abstract, and the teen finds assignments more difficult and complex. In one case, teachers noted that an AS teen was no longer crying over math assignments, and therefore believed that she was coping much better. In reality, her subsequent decreased organization and productivity in math was believed to be a function of her escaping further into her inner world to avoid the math, and thus she was not coping well at all. 10. Affect as reflected in the teacher's voice should be kept to a minimum. Be calm, predictable, and matter-of-fact in interactions with the AS or HFA youngster while clearly indicating compassion and patience. The teacher who does not understand that it is necessary to teach AS and HFA kids seemingly obvious things will feel impatient and irritated. 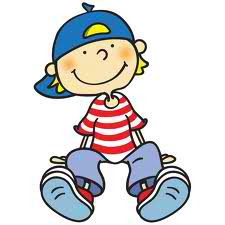 Do not expect the “special needs” youngster to acknowledge that he is sad or depressed. In the same way that they can’t perceive the emotions of others, these kids can also be unaware of their own emotions. They often cover up their depression and deny its symptoms. 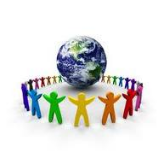 Teachers can play a vital role in helping kids with AS and HFA learn to negotiate the world around them. Because these kids are frequently unable to express their fears and anxieties, it is up to caring adults to make it worthwhile for them to leave their safe inner fantasy lives for the uncertainties of the external world. Staff who work with these youngsters in schools must provide the external structure, organization, and stability that they lack. Using creative teaching strategies is crucial, not only to facilitate academic success, but also to help these young people feel less alienated from other human beings and less overwhelmed by the ordinary demands of everyday life. • Anonymous said… you are not alone! "Just keep swimming..."
• Anonymous said… Absolutely spot on in relation to my 10 year old son.. & worthwhile sharing with his school! • Anonymous said… Absolutely spot on. How I've described my son and why I moved him to a school which actively seeks to get the best from him every day, without the mainstream inadequacies. He has gone from strength to strength. • Anonymous said… Absolutely...my 16 year old is dealing with a chaotic class right now. He has not failed a class ever but is on the verge. He is begging to be switched out, so we are pushing the admin to allow him to move. • Anonymous said… Every time I read " depression" next to "mainstream", I hardly believe that school officials would be accommodating or patient enough to deal with emotional HFA child. I suspect they'll just drop it on the clinical psychologist laps to avoid liabilities. • Anonymous said… I just started homeschooling my 11 year old girl. I don't know what took me so long! Five years of banging my head against the wall of the public school system. What was I waiting for?? • Anonymous said… I'm thinking about pulling my 10 year old 4th grader from Public School!!! Same as you both, I'm mad at myself for letting him suffer this long. • Anonymous said… It's a fear thing. If I didn't have the K12 program I don't think I would have the guts to do it yet. • Anonymous said… Mine is in her thirties. I had to fight with the school almost constantly (and college was no picnic neither). She lacks one class from having an Associate's Degree. She lacks a science class because we just could not find a science class instructor who really cared to do any modification at all. She did have a "special populations" counselor at the college and that did help to an extent (but not when it came to the science dept ... ironic how ignorant they are). The modification would have been minor (although it is not a minor issue when not put into place) and she is, of course, expected to complete the workload and pass the exams just like everyone else. I am almost sixty. My husband just retired and I am totally burnt out. At least she does have three technology degrees from the college (and she definitely EARNED them). However, she is a grocery store clerk and has not found a job in her chosen field ... kind of doubtful (although hopeful) that she someday will. I feel like I fought with the school district the entire time she was growing up. They did not seem to understand what autism is at the time she attended school .... much less that there are different levels of autism. They tried to label her MR, but I resisted. They said that they did not have a program for autism. I told them that they were ACQUIRING one! She was mainstreamed, because I insisted. Sure, there were bullies .... both children AND adults. However, there were some of the most wonderful people .... both children AND adults .... who came to her aid at times. And, yes, I did have to go to the school and make the school officials confront the bullies. I had to actually threaten the school district with a law suit one time because the prinipical did not want to contront the bullies who were htting my child by the lockers. The principal stated that she could not punish the bullies as she did not witness the abuse. I countered that comment with the fact that she could "call them on the carpet and put them on notice" and tell them and their parents what she had heard about their behavior. Fortunately, this was resolved ..... however, it was totally inappropriate on the school's part that I had to take such measures to protect my child. I realize that I have rambled on, but this is a small slice of our experience. It seems that it is an uphill battle, but, although burnt out, I am glad that I fought. It still is not ideal. She lives with us and the government does not give her any type of check (as some people probably think). Her father and I have always been working class people. Lol ... the government relies on people like us to support welfare with the taxes they take from our paychecks. Our daughter takes care of very basic things with her part-time job money. She cannot afford to pay rent, so she lives with us. (Not many people are catagoried as "full-time" in the grocery store). She did qualify for "Obama-Care" so at least she has some type of coverage. We live in Texas (that probably explains part of it anyway). • Anonymous said… So incredibly timely for me as my 13 yo ASD son is struggling with school. I will be sharing this with this school. They have been wonderful in working with him. • Anonymous said… So very true. My son calls high school - social hell. • Anonymous said… Thank you for posting. I am going to pass this on to my daughters principal. • Anonymous said… That describes my child so well! • Anonymous said… That's why I homeschool my oldest for right now. When I have tried communicating his needs before we started school they seemed like they didn't want to help at all. • Anonymous said… The school structure just didn't fit him- so much stress from transitions, unexpected changes, assemblies, substitutes and rule changes. He would fall behind and only two teachers tried to do anything. He is homeschooling this year and is doing fantastic and also making friends! • Anonymous said… This is so spot on! Hand this to all of your Aspie's teachers! • Anonymous said… Very helpful! • Anonymous said… We pulled our son from the public system in the 5th grade and enrolled him in a mainstream, small private school where he does much better socially...but it still isn't perfect. He does not require a special needs school, but he does require specialized care at times. I really wish there were more options out there for these high functioning, quirky kids. • Anonymous said… Yay! The BEST description of my son! With Asperger's (AS) and High-Functioning Autism (HFA), one or more of these skills are not fully developed, so children on the autism spectrum ‘overload’ their working memory and don’t take into account all of the various information required for natural social interaction. Good communication is the foundation of any successful relationship – and nonverbal communication speaks the loudest (e.g., facial expressions, gestures, eye contact, posture, tone of voice, etc.). The ability to understand and use nonverbal communication is a powerful tool that can help children connect with others, express what they really mean, and build better relationships. Since nonverbal communication does not come naturally to AS and HFA children, it must be taught. Below is some vital information that parents (and teachers) can share with their “special needs” child to help him or her begin to develop the ability to read nonverbal cues. Change the wording as needed so your child will understand. And don’t be surprised if, at times, you child feels as though you are speaking a foreign language, because nonverbal communication is indeed foreign to AS and HFA kids. Pick one point at a time to discuss (perhaps one point a day over the course of 12 days), and try to give examples of each point that your child can relate to directly. Point #1: Discuss body movements and posture. Consider how our perceptions of people are affected by the way they hold their head, sit, walk, or stand up. The way we move and carry ourselves communicates a wealth of information to others. 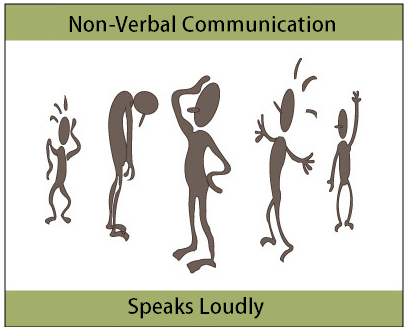 This type of nonverbal communication includes stance, posture, bearing, and subtle movements. Point #2: Discuss eye contact. Since the visual sense is dominant for many people, eye contact is an especially important type of nonverbal communication. The way we look at someone can communicate many things (e.g., attraction, interest, affection, hostility, etc.). Eye contact is also important in maintaining the flow of conversation and for evaluating the other person’s response. Point #3: Discuss facial expressions. The human face is extremely expressive and able to convey numerous emotions without saying a word. And unlike some forms of nonverbal communication, facial expressions are universal. The facial expressions for anger, fear, happiness, sadness, surprise, and disgust are the same across cultures. Point #4: Discuss gestures. Gestures include waving, pointing, using your hands when you are arguing or speaking animatedly. We often use gestures without thinking about it. Point #5: Discuss space. Has anyone ever told you that they felt uncomfortable during a conversation because you were standing too close and invading their space? Everyone has a need for physical space, although that need differs depending on the person, the situation, and the closeness of the relationship. We can use physical space to communicate many different nonverbal messages (e.g., signals of affection, aggression, submissiveness, dominance, etc.). Point #6: Discuss touch. You communicate a great deal through touch. Think about the nonverbal messages given by the following acts: a controlling grip on your arm, a patronizing pat on the head, a reassuring pat on the back, a timid tap on the shoulder, a warm bear hug, or a weak handshake. Point #7: Discuss voice. It’s not just what we say, it’s “how” we say it. When you speak, the other person “reads” your voice in addition to listening to your words. Things the other person may pay attention to include how loud you speak, sounds that convey understanding (e.g., ahh” and “uh-huh”), your timing and pace, and your tone and inflection. Think about how someone's tone of voice can indicate anger, sarcasm, affection, or confidence. Point #8: Oftentimes, what comes out of your mouth and what you communicate through your body language are two totally different things. When faced with these mixed signals, the person that is listening to you has to choose whether to believe your verbal or nonverbal message. And in most cases, the other person is going to choose the nonverbal, because it's a natural, unconscious language that broadcasts your true feelings and intentions in any given moment. Point #9: Pay attention to contradictions. 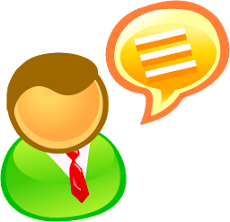 Nonverbal communication should support what is being said. Is your friend saying one thing, but his body language saying something else (e.g., is he telling you “yes” while shaking his head no)? Don’t dismiss your gut feelings. If you get the sense that someone isn’t being honest, you may be picking up on a mismatch between verbal and nonverbal cues. Point #10: The way we listen, move, look, and react tells the other person whether or not we care, if we are being truthful, and how well we are listening. When our nonverbal signals match up with the words we are saying, it increases trust and rapport. When our nonverbal signals don’t match up, it generates mistrust and confusion. Point #11: When you interact with your friends and classmates, you continuously give and receive wordless signals. 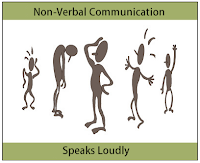 All of your nonverbal behaviors send strong messages (e.g., how close you stand to someone, how fast or how loud you talk, how much eye contact you make, the gestures you make, the way you sit, etc.). These messages don't stop when we stop speaking either. Even when we are silent, we are still communicating nonverbally. As your AS or HFA child continues to pay attention to the nonverbal cues he sends and receives, his ability to communicate will improve. By using the points listed above, parents can help their child gain the skills needed to communicate nonverbally, which is often the most important component of communication. For some moms and dads, a diagnosis of Asperger's may feel like a kick to the groin. You feel overwhelmed, and your world has been turned upside down. 1. The writing assignments of students with AS and HFA are often repetitious, flit from one subject to the next, and contain incorrect word connotations. These kids frequently do not know the difference between general knowledge and personal ideas, and therefore assume the teacher will understand their sometimes obscure expressions. 2. 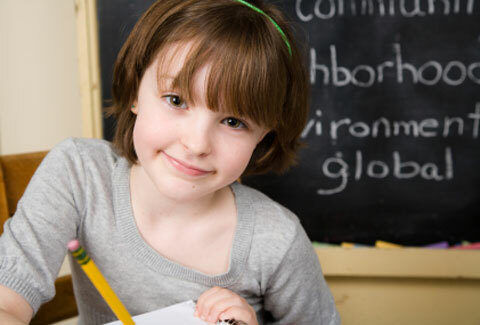 Provide a highly individualized academic program engineered to offer consistent successes. The youngster with AS or HFA needs great motivation to not follow his own impulses. Learning must be rewarding and not anxiety-provoking. 3. Offer added explanation, and try to simplify when lesson concepts are abstract. 4. Kids with AS and HFA often have excellent reading recognition skills, but language comprehension is weak. Do not assume they understand what they so fluently read. 5. Multiple levels of meaning, emotional nuances, and relationship issues as presented in novels will often not be understood. 6. Do not assume that kids with AS and HFA understand something just because they parrot back what they have heard. 7. Capitalize on these students’ exceptional memory. Retaining factual information is frequently their forte. 8. 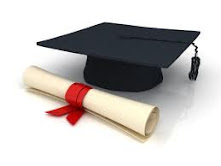 Academic work may be of poor quality because the youngster with AS or HFA is not motivated to exert effort in areas in which she is not interested. Very firm expectations must be set for the quality of work produced. Work executed within timed periods must be not only complete, but done carefully. The “special needs” youngster should be expected to correct poorly executed classwork during recess or during the time she usually pursues her own interests. 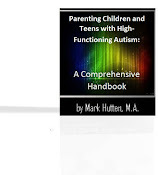 Children with Asperger’s (AS) and High-Functioning Autism (HFA) tend to crave sameness, despise change, become upset when there is a break in routine, or experience a “meltdown” when it is time to transition from one activity to another. Among these “special needs” children, there is a propensity for doing - or thinking about - the same things over and over, because doing so brings great comfort (e.g., repeatedly lining up toys in a certain order). Unlike “typical” children who may, for example, experiment with lining up train cars in a variety of ways, and move them along the track once they have decided on an order, a youngster with AS or HFA might have only one acceptable order – and have a temper tantrum if a single car is moved out of place. Many children on the autism spectrum have deep-seated “rituals" where certain things MUST be done in an exact way every time. For example, (1) “Dad must hand me the green towel with the frog on it,” (2) “I must step out of the tub onto a dry towel lying on the floor,” (3) “Dad must pull the bathtub plug,” and (4) “He must dry me off starting with my feet first.” Heaven help dad if he pulls the plug out of sequence or if the frog towel is in the dirty laundry. In this happens, the AS or HFA youngster can fall to pieces, insisting that the tub be refilled and the entire sequence be done again, this time in the correct order. "The bedtime routine may have started with only lining up three toys, but becomes an elaborate ritual where dozens of toys have to be placed according to strict rules of order and symmetry. When a journey to a destination has followed the same route several times, there is the expectation that this must be the only route and no deviation is tolerated." What drives this incessant desire for routine? Maybe it’s a form of control, or a way to cope in an unpredictable and frightening world. In any event, the insistence on sameness is unmistakably there. The strong need to avoid the disruption of routine can make a child with AS or HFA look very rigid to the outside world. Parents – and even siblings – can feel held hostage to certain routines or rituals, dreading the meltdown that will ensue if they interfere with them. This inflexibility can have other social implications, too. For example, the AS or HFA child may become extremely rigid regarding rules, and want to help enforce them to the dismay of their friends and classmates. The youngster may try to “script” the play of other children so that some pretend scenario is acted out exactly as he or she pictured it. This resembles the “lining up toys” behavior, only now it is peers and their behavior that the youngster is trying to put in order. If the other children are noncompliant, this may lead to a tantrum or meltdown. The give-and-take necessary to play or interact with peers in more complex, mature ways is hindered by the AS or HFA child’s strong need for sameness. Researchers have demonstrated that the tendency to have rigid routines, the propensity for having a “special topic," and repetitive sensory and motor behaviors (e.g., stimming) often occur together. Whether these various ways of being “rigid” are necessarily connected in some way (neurologically speaking) is still being debated. The good news about the AS or HFA youngster’s strong desire to avoid disruption of routine is that it can be relatively easy for parents to respond to. The vast majority of children of all ages function better with structure, routine, and predictability in their life. Kids on the autism spectrum simply take it to the extreme and have difficulty adjusting to change. Bulletin boards with individual cards for each task that you can move around with pins, calendars you make on your computer, or dry-erase boards will make it easy for you to post the changes without having to recreate the list every time there is a change. Lists, charts and calendars on the wall help your youngster see what will happen each day. Warning your child ahead of time of upcoming changes can help prevent upset, or minimize it. Is there ever a time when you should you step in and stop your AS or HFA child from engaging in his or her repetitive routines? How much of a problem is it – and who for? Does the behavior endanger my youngster or others? Does the behavior increase the likelihood of social rejection or isolation? Does the behavior interfere with other enjoyable activities or school work? Will the behavior be acceptable in 5 years from now?